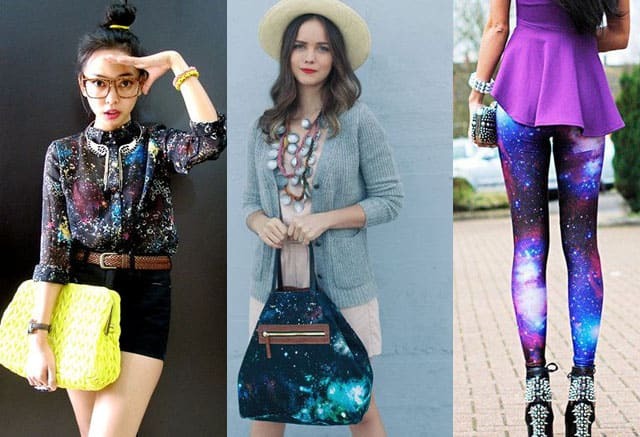 A couple of years ago outfits with galaxy print just rocked the fashion world making people go crazy craving another nebula item in their closet. 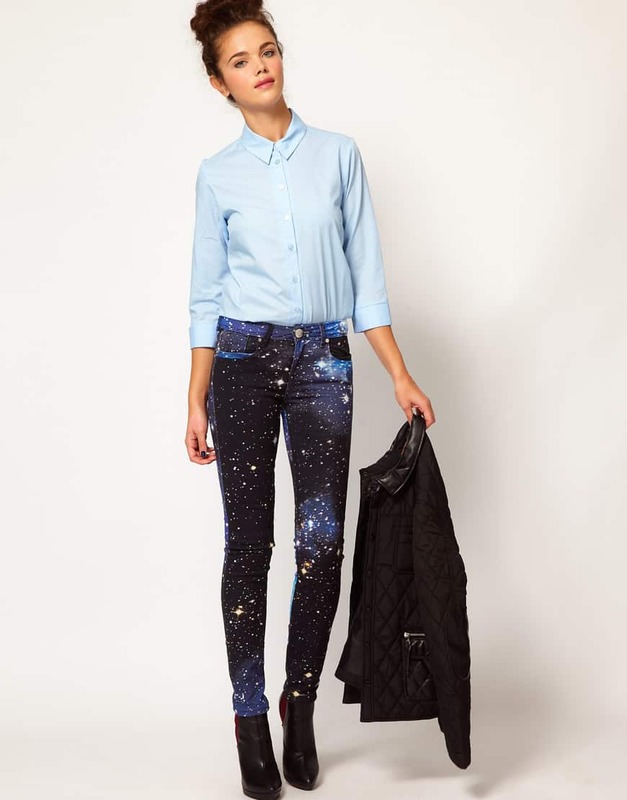 Well it’s still in now, so check out what to wear with galaxy print to look all mysterious and intriguing. 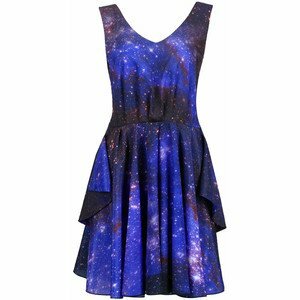 Black is certainly our all-time favorite: no one can resist the looks where girls combine wide brim hats, jackets, tights and sunglasses – all in black – with galaxy dresses! 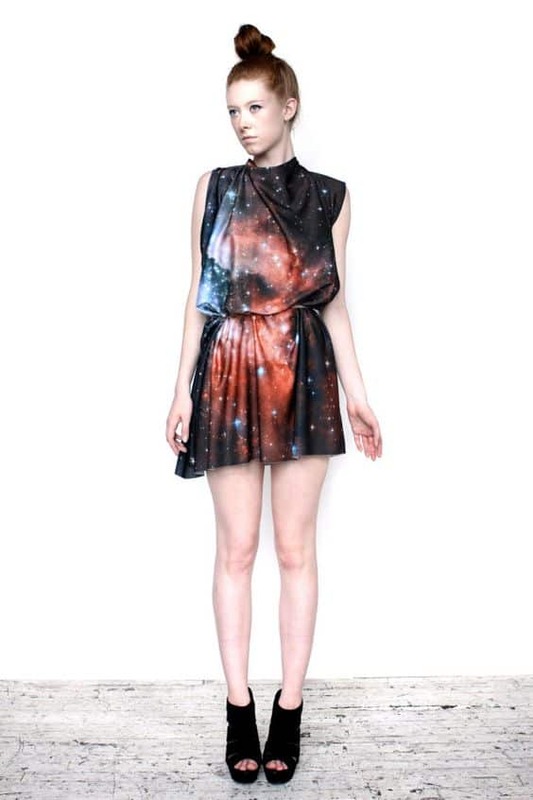 It actually might be the most popular out of the latest trends and the moment you see it you’ll understand why. It’s just stunning! 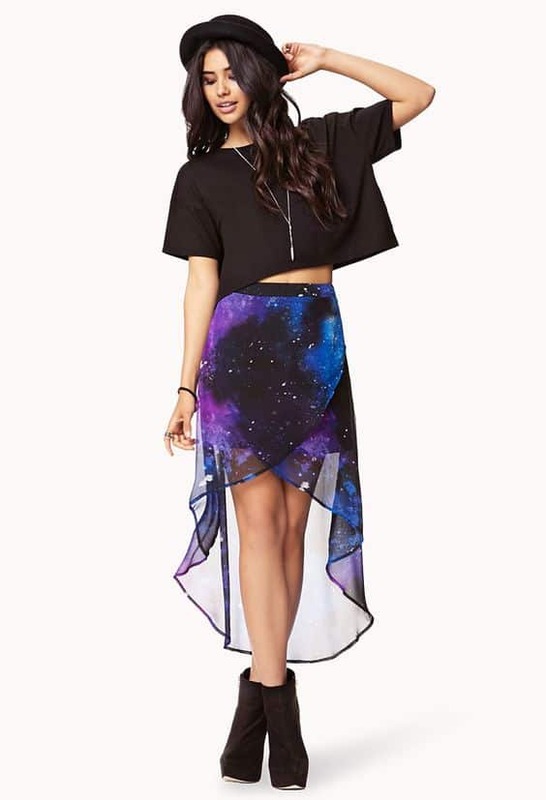 But you can take it to a whole new level by pairing the print with one of the shades they used in the pattern, like blue or purple or sometimes red and even green (nebulas are too diverse). 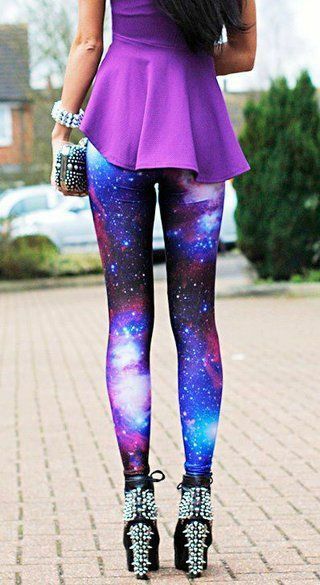 This way, trying to get your head round how to wear galaxy print pants, try matching them with a purple sweatshirt or a simple blue tee. 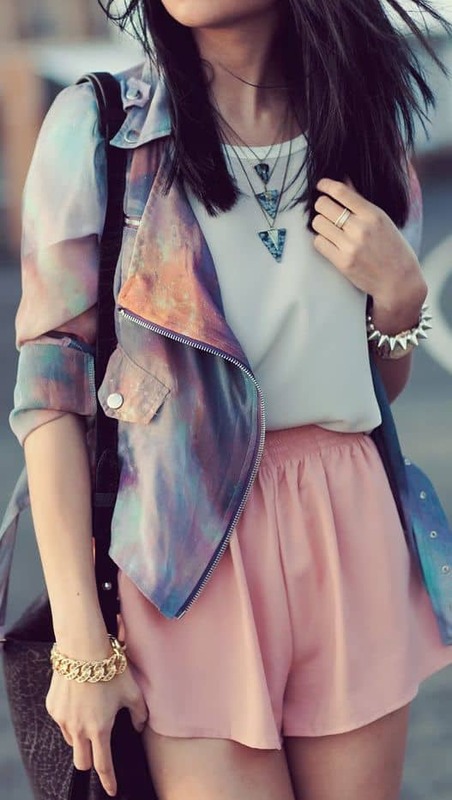 Such combination will look non trivial attracting tons of attention with its brightness and creativity!